As many of you know, it is a lifetime goal of mine to obtain both a lair and minions, so when I watch Despicable Me and its sequel, I am not merely absorbing a fine animated movie: I am living the dream. 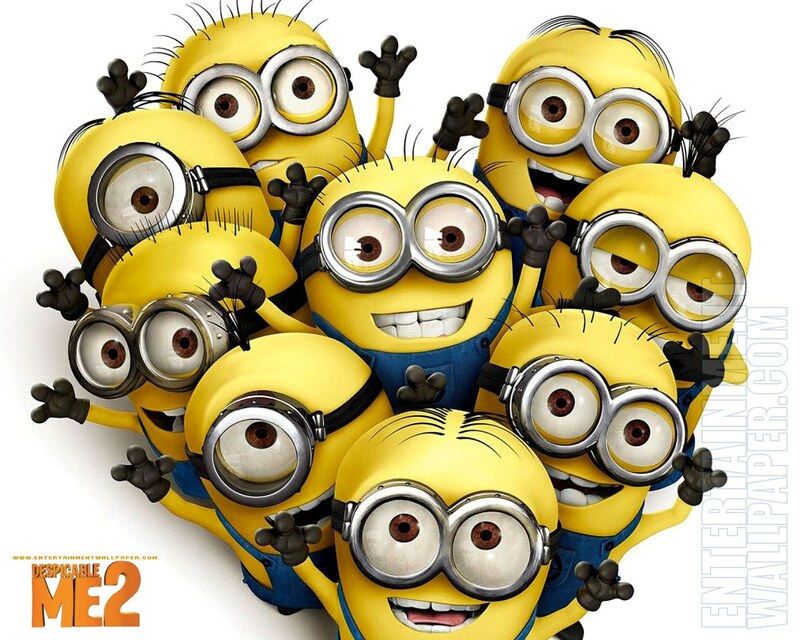 Despicable Me 2 surpasses its predecessor and banks its laughs (and oh there are a-plenty) on the minions. If you liked the minions in the first movie, you’re in for a treat. The movie finds former super-villain Gru now a single father of three girls and those three girls are highly interested in obtaining a new mother. They fixate on Anti-Villain League agent Lucy with whom Gru has been drafted to investigate evil doings-on at a seemingly normal suburban mall. DM2’s plot may not be as strong as the first movie’s, but honestly I do not care. I do not care because every time a minion was onscreen I was pretty much laughing harder than I have in a long, long time. Things come together in the way you’d think, and the two movies together serve as a nice journey of this supervillain and his complete transformation. It would be awesome if they’d just leave this alone and not make 9 more, but that’s not how films work. The minions have their own spin-off already planned for next year, and I’m sure given the whopping opening weekend, we’ll hear about Despicable Me 3 soon. Just don’t burn me out on the minions, guys, because I could watch the fire brigade of minions alone all day and never stop laughing. meh…theyre going to do it…they just don’t know how to stop until “they” do. the minions are awesome so we’ll have them shoved down our throats. whatever, we can still enjoy them now (esp the ones with the lil slicked down hairdos LOL). good review! I want to see the Minions spin-off. I want it to be good and not ruin the whole thing. Right now, minions = pure joy.